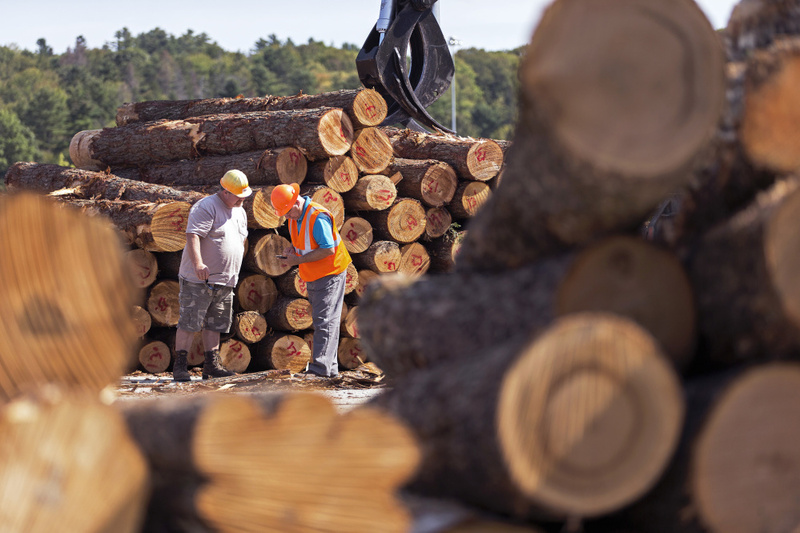 Maine Woods Biomass Exports is shipping hemlock to China, hoping an undervalued species can create opportunities for Maine's hard-pressed forest products industry. BUCKSPORT — Paper was made here for 84 years, until 2014. Now, where trucks once delivered wood to a mill for paper production, an entrepreneur is trying to write a new chapter in Maine’s forest products industry. Trucks have been pulling up daily with hemlock logs. Stacked in piles at the former paper mill’s woodyard, they’re run through a debarker. Last week, loads of logs were put into containers and trucked to Boston, where cargo ships are expected to bring them this week to China to become lumber. But Boston is only an interim step on a proposed path to transform Bucksport, as well as nearby Searsport, into a fiber hub where ships can call to export underutilized Maine wood to Asia and Europe. Much has been said and written about the potential for repurposing the five Maine paper mills that have closed over the past three years, and the challenges of finding new markets for 4 million tons of wood once used for pulp and power. There have been setbacks, and Arthur House, president of Searsport-based Maine Woods Biomass Exports LLC, has had his share. But after his widely anticipated plans to export fuel-grade wood chips to European power plants this year were delayed, House pivoted to a new opportunity. The log piles rising now at the former Verso mill yard represent one of the first tangible signs of commercial progress at a shuttered Maine paper mill. House says he has signed contracts for $28 million worth of hemlock logs – millions of board feet – destined for China, with more deals pending. He’s also headed to Turkey next month, where he hopes to sign contracts for Maine wood chips to be exported for particleboard furniture. Despite his optimism and persistence, though, House continues to experience problems that raise questions about his ability to turn a vision into reality. Last week, a Chinese log buyer who’s doing business with House said that his company had signed a contract for a large volume of oak and ash sawlogs, but had yet to receive the shipment. Yuan Zhen, who represents Shandong Nada International Trade Group, said that Maine Woods Biomass had delivered a trial order, but a larger shipment has been delayed and he was having trouble communicating with House. 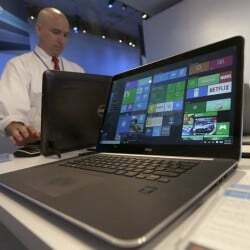 He said he had to refund money to customers in China, so as not to hurt his company’s reputation. “The problem is, we haven’t received any container, and no schedule of when we can receive it,” he wrote in an email after being contacted by the Maine Sunday Telegram. Asked about the shipment, House said $160,000 worth of red oak for the Chinese buyer was stockpiled at Bucksport. On Tuesday, House sent pictures to the Maine Sunday Telegram of a trailer of red oak he said was part of the Nada Group order. House also said delivery delays were caused by moving processing equipment from a site in Searsport to his new operation in Bucksport. He said he was unaware of the concerns expressed by Yuan Zhen. In a separate matter, hemlock logs destined to become pulpwood chips for making paper in China are piled at the Richard Carrier Trucking woodyard in Milo. That shipment also has been stalled. House said the delay stems from an ongoing inability to ship wood chips out of a site he leases at Searsport, which lacks the proper equipment. The company is working to make other arrangements, but also says anxious wood suppliers delivered too many logs, despite advice to wait until shipping problems were ironed out. Mark House, executive vice president of Maine Woods Biomass Exports, maneuvers a log during the debarking process. The company is using the former Verso Paper mill in Bucksport to prepare surplus softwood for shipping to China, lumber that has lost some of its domestic value. Until now, House has avoided media coverage of his Chinese ventures. He’s resentful of “naysayers” and a perception that his inability to export wood chips to Europe on schedule indicates that he lacks the financial resources to follow through. House said his plans aren’t dependent on government grants or subsidies. With the exception of separate loans of $250,000 each from the Finance Authority of Maine and Coastal Enterprise Inc., House said he has millions of dollars of capital available personally and through private investors. Those suppliers are focused now on delivering hemlock, a species that suddenly has very little domestic value. Hemlock is a softwood that typically grows in mixed stands. Although some Maine sawmills do produce hemlock lumber, its greatest worth has been for making pulp for paper mills. But when Verso left here at the end of 2014, and the mill in Old Town shut down in 2015, the Penobscot River valley lost major markets for softwood pulp. That loss has had a ripple effect. 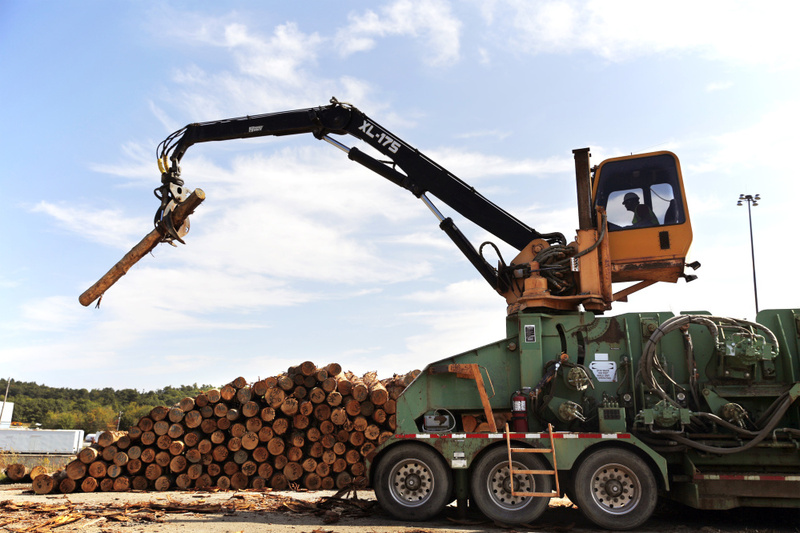 Harvesting lower-grade wood for pulp and power production provided jobs for hundreds of area loggers and truckers, offset the cost of cutting premium saw logs and contributed to what the industry says is more-responsible forestry. Dumond was procurement manager for the ReEnergy wood-fired power plants in Maine before retiring last year. He came to work for Maine Woods Biomass last winter. The opportunity to ship hemlock to China emerged as word spread globally about Maine’s fiber surplus. “Timing is everything in business,” Dumond said. Part of the timing is that China is unable to source enough wood at home, or from the West Coast of North America, to satisfy its manufacturing demand. Maine is twice the distance from China than from the West Coast, but awareness of the wood surplus has put the state on the radar of wood buyers looking to expand their supply options. Over the past six months, a steady stream of Chinese wood buyers and their representatives have come to Maine. Other companies also are taking advantage of the Chinese interest in Maine’s log resource. Earlier this month, Katahdin Cedar Log Homes of Oakfield shipped nine containers holding three home kits to Chengdu province. The company had previously exported its manufactured home kits to China, Japan and elsewhere, a niche market for Maine wood. Scott King, left, a log scaler at Maine Woods Biomass Exports, and Brian Souers, owner of log supply company Treeline Inc. in Chester, tally a delivery of logs at the former Verso Paper mill in Bucksport. Souers said he has delivered at least 15 loads of lumber and is cautiously optimistic about the business’ chances of success. For Chinese visitors, one new stop is the new Maine Woods Biomass processing yard here, which House is leasing from the company that dismantled the paper mill. Past the truck scale, a worker in a front-end loader and grapple earlier this month was feeding tree-length hemlock logs into a machine that strips off the bark. The logs were waiting to be loaded into 40-foot-long shipping containers for the ride to Boston. That bark has value, too, as mulch for landscaping in New England. Trucks are coming from as far north as Patten and as far south as Durham, Dumond said. By next year, he said he expects up to 200 loggers, truckers and wood yard workers to be engaged moving and processing the logs. One truck came from Treeline Inc., a diversified forestry operation in Chester, next to Lincoln. 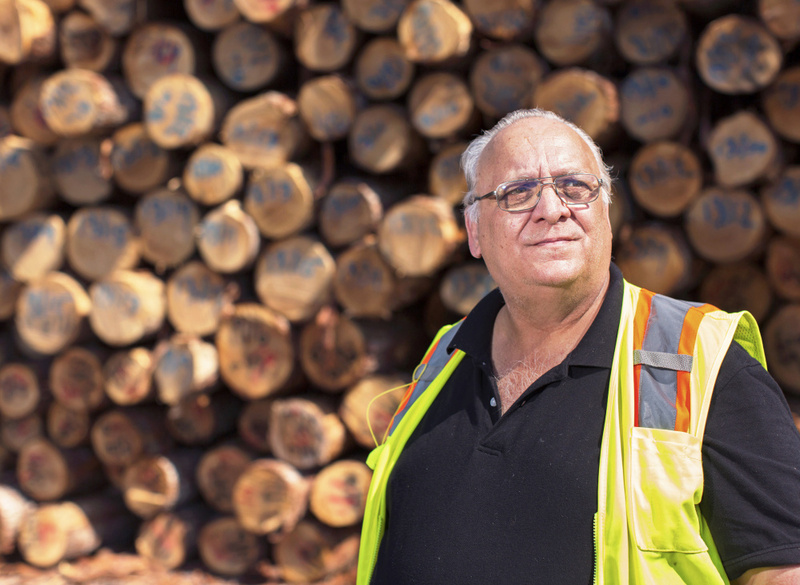 Brian Souers, Treeline’s president, watched as his driver steered 7,000 board feet of hemlock logs into the yard. He said he has delivered 15 or 20 loads and is cautiously optimistic that House can succeed. Earlier this year, House started processing logs at Treeline’s wood yard. They were shipped out of Saint John, New Brunswick. Some logs also were processed in Searsport, before Bucksport came into the picture. House said he’s now talking to Pan Am Railways. There’s a rail siding here in Bucksport, pinched between the mill yard and Route 15. House wants to load rail cars with logs for Boston. Rail would be less costly than trucking, he said. Expanding to Bucksport has opened up another opportunity. Vessels up to 700 feet currently bring petroleum to a terminal on the Penobscot River. The river is deep enough for cargo ships to call at the former paper company dock just upriver, but truck access would have to be built, according to the town’s harbor master. House said companies are expressing interest in enhancing the dock so he could ship containers of logs directly from here to China. Also on the table are plans to ship logs in bulk out of Searsport. Long term, logs and fiber would move by rail from northern Maine. House has had a big-picture vision of moving fiber by rail to the coast for export for years, but has suffered some setbacks. The largest came in 2013, when a train derailment and horrific fire in Lac-Megantic, Quebec, led to the bankruptcy of the Montreal, Maine and Atlantic Railway. House had a major contract to move logs, and it took two years for a new company, Central Maine and Quebec Railway, to take over and establish a relationship with Maine Woods Biomass. House also had to shift gears in 2015, after the town of Prospect enacted a six-month moratorium on industrial development. The vote prevented him from building a $12 million facility to heat-treat wood for export, and led to the loss of a multimillion-dollar contract, he said. Now he plans to build the facility in Stockton Springs to meet a delivery commitment in 2018. These events have forced House to readjust his business plan, and have contributed to skepticism about his ability to execute his vision. But with the hemlock log exports gearing up, Maine Woods Biomass is making visible progress, according to Matt Lindquist, a commercial loan officer at FAME. Lindquist said that while the company is still in a startup stage and needs to prove itself, he’s encouraged to see what’s happening at Bucksport.